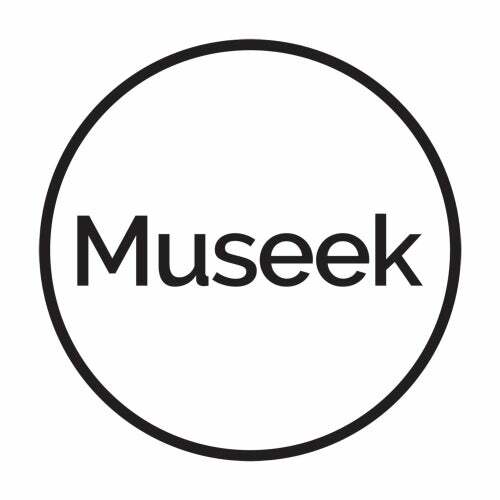 Museek Records is an Italian label with a simple but honest philosophy: if the music is good and they dig it, they'll release it. To date, it's meant the label has flirted with a range of different sounds, with the general consensus being that their way of working has emitted some staggeringly impressive results to date. A similar thread courses throughout the diverse sounds of their latest. This time about, it comes at us from Davide Cuoghi aka Imaginary Part, a relatively elusive producer with but a few releases to his name so far. Machine Learning is his debut LP - and it truly is a joy to behold. Davide takes inspiration from a mathematical notion vis his alias, as in mathematics complex numbers are made from a real part and an imaginary part. Without the imaginary part they are purely real. Imaginary Part is an escape from reality, taking inspiration from ambient, downtempo and abstract soundtracks. Getting us underway here is the sounds of the rough and ready analogue sounds of 'Solstice Memories', an engaging track that paves the way for a gamut of sounds that incorporate a wide range of emotions. Proceeding track 'Polytext' for example, is full of curious 8 bit sounds and scattered techno vibes, the likes of which play out like one of Aphex Twin's notorious ADD-riddled experiments. 'Ahead' keeps the listener's attention locked via a similarly unconventional and unpredictable way of working, before 'Echodrums' brings the heat with a synth-heavy cut that's sure to make people stand up and take notice. Barely a couple tracks in and it's already clear that this is far from your average listen. 'Correlation' then ups the intensity via a stifling, humid vibe that showcases another side to the producer's arsenal. Vibe-heavy but almost uncomfortable in parts, this is bleep-heavy techno on an experimental tip that's designed to keep us second-guessing. 'Control Panel' then kicks off the album's second half via a cut that goes deeper than deep, before 'Shiftin Pattern' brings us back to more conventional sound-spheres via some Detroit-inspired ambient techno. 'Further Environment' continues the LP's knack for big moments, before 'Assembly' goes all moody and downtrodden once more. Seeing us out the door is the sounds of 'Kit75', a suitable closing effort that's full of eerie, cinematic vibes. A release that's definitely worthy of a few listens, this is an album that's nothing if not engaging and intriguing throughout.